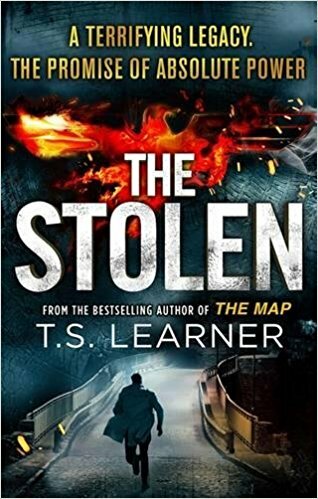 The Stolen | T.S Learner: Best-selling writer specialising in historical thrillers with mystical twist. T.S Learner: Best-selling writer specialising in historical thrillers with mystical twist. A priceless, deadly treasure. A curse that echoes through history. An evil that must be exposed. The gripping, terrifying new thriller by T.S. Learner, author of Sphinx. Zurich, 1983. A Roma gypsy lies dead in front of a smart watchmaker’s window. His sacrifice will lead to the discovery of a remarkable treasure, kept hidden by the Nazis for decades. Widowed physicist Matthias von Holindt has been lost in his own world for far too long. But when his estranged father is implicated in the murder, Matthias is forced on a desperate hunt for the truth. Fighting against a secret, sinister cabal, he must race to save the artefact from their evil grasp. But the quest will have profound and devastating consequences for Matthias himself – and threaten those he loves the most. Heart-stopping adventure, rich history and a deep, hidden mystery – The Stolen is a compelling and hugely satisfying thriller from the bestselling author of Sphinx. UPDATE!!! !PICTURE THIS IS NOW IN PAPERBACK!! !